#3 - Visiting the plant in Porto General San Martin: How I exchanged my business outfit for a safety helmet. 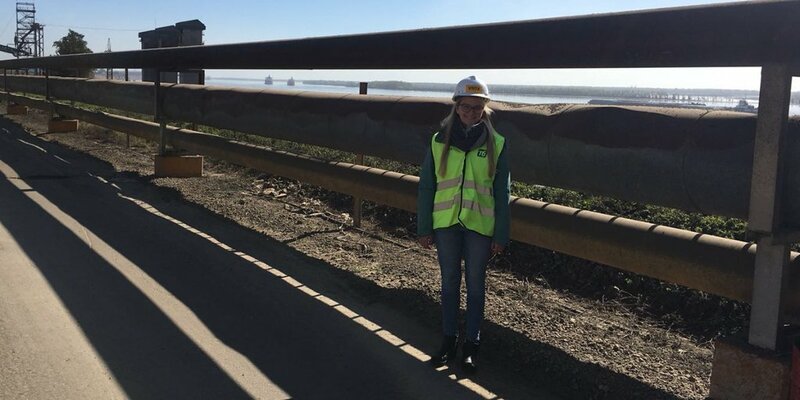 In her third article on our students@Evonik blog, Fritzi talks about how she exchanged her business outfit for a safety helmet and visited Evonik´s production facility. While mostly working for Evonik Animal Nutrition in Buenos Aires, I learned a lot about the competitors, the product portfolio and the way the company works. However, I spent most of my time "with" Evonik´s Biolys® factory in Castro, Brazil, where the essential amino acid lysine is manufactured. I was also allowed to visit one of Evonik´s warehouses where I could see how our products were stored, and I was lucky to see a truck with Biolys® arriving to be exported from Brazil to Argentina. I was amazed at how smoothly the arrival of the products worked, even though the driver only spoke Portuguese and the warehouse staff did not understand the language. They worked together to overcome this language barrier. You might did not know this but Argentina is actually one of the world's largest agricultural producers of soybeans, corn and sunflower seeds, which also play a key role in animal nutrition, because these ingredients can not only be mixed with our amino acids to create animal nutrition but they are also important for other industries that make Argentina a perfect location for evonik. At the end of August, I was allowed to join my colleagues from Evonik´s Performance Materials segment especially their Business Line Functional Solutions on a trip to the region Rosario de Santa Fe. Near Rosario, in Puerto General San Martin, there is an Evonik plant for catalysts for the production of biodiesel from renewable resources. It is located at the same site as Terminal 6 S. A., two private berths that are used for grain bulk carrier ships and tanker ships. Terminal 6 also simplifies delivery by rail and truck. When I was there for the first time, some of my colleagues also had not yet visited Terminal 6. That's why our colleagues organized a guided tour for everyone. That was also the moment when I exchanged my desk for a safety helmet. It was interesting to see how dry agricultural products like soy are unloaded and processed. I must say that I always felt welcome and accepted during my internships in Germany; however, I have the feeling, the Argentinians attach great importance to development in general and, e.g., in supporting my interests in the field of Supply Chain Management. The employees at the plant were not only cooperative with regard to my experiences at work. We also had a dinner together which, typical for Argentinians, started at 9 pm and lasted until 11:30 pm. After eating many steaks in the last three months, I definitely cannot see any meat for the next few months. This is my last blog and, so I wanted to sum up my experiences in Argentina and at Evonik for you guys. I have had the chance to learn a lot for both, my personal life and future career. I can only recommend to take the opportunity and go abroad when Evonik offers this possibility. In my opinion, you can only learn a language if you have lived or travelled in the country where it is spoken by its people. In addition, culture cannot be understood by reading a book or listening to a professor, it must be experienced. I would definitely take the opportunity to work in Argentina again. The People are relaxed, kind and open minded. I hope that I was able to give you an insight into how working abroad was for me and that I am happy to be part of a global company. 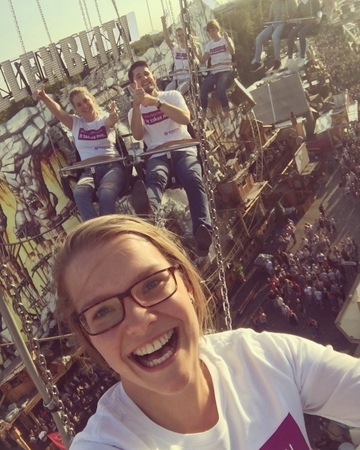 On the students@Evonik blog students who work at Evonik share their experiences about life in the company. Aug. 9, 2018, 6:47 a.m.